Kin from 733 Blog is sharing with you the FREE 1-10 Number Matching Game she came up with. 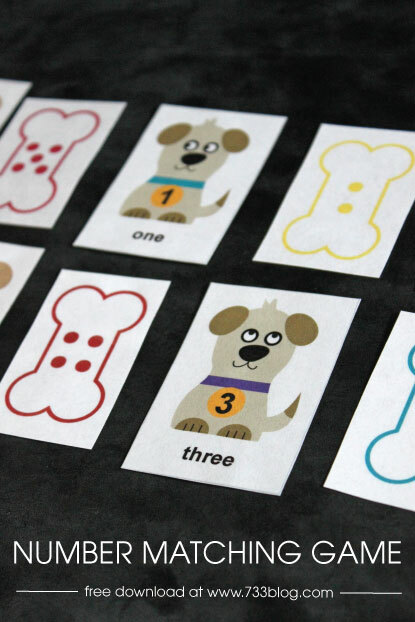 The basic concept is to match the Number Dog with his corresponding Number Bone. The dog with a 1 on his color matches up to the bone with 1 dot.